Dan is admitted to the New York bar, the New Jersey bar and the Florida bar. This affords Dan the opportunity to represent clients in all three states. Dan’s combination of admission to the New York bar and Florida bar in particular is especially useful to clients who split their time between New York and Florida. Dan is also admitted to practice before the United States Tax Court. Dan holds an advanced law degree, a Master of Laws in Taxation, from New York University School of Law. This allows Dan to assist clients with advanced tax planning. Dan received his Juris Doctor degree from Rutgers School of Law-Newark, where he served as the Senior Managing Editor of the Rutgers Law Record. 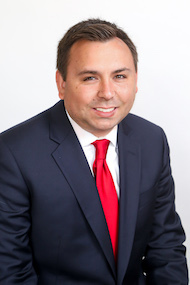 While in law school Dan worked as a student attorney in the Rutgers Federal Tax Clinic and interned in the Tax Court of New Jersey and the Morris County Surrogate Court. After completing law school Dan served a one year clerkship with the Honorable Barbara C. Stolte in the New Jersey Middlesex County Family Court. Prior to law school Dan earned a Bachelor of Business Administration degree from Temple University, where he double majored in finance and economics. Dan is a member of the Suffolk County Bar Association, the New York State Bar Association, the New Jersey State Bar Association and the Florida State Bar Association.